Most of us like a nice, clean, living space. You wouldn’t know it by talking to teens and college kids – they loudly insist they prefer their mess. Usually in response to a demand to clean up. But if they had someone to do their chores without it costing them money (or endless nagging, hi mum!) then their rooms would be spotless too. Fortunately, this doesn’t have to be your battle. You can hire Houseproud carpet cleaning in Sutherland Shire or anywhere else in Sydney, and we clean other parts of your house and office too. Even if you take pride in your own hygiene habits, it can be useful to get some outside help once or twice a month. We won’t be in the way, and all our staff are vetted and insured, so you’re guaranteed thoroughness and security. But why the deep clean? Unless you’re an aristocrat, you can’t afford a daily maid (and even the lords and ladies are having to trim down lately). This means you’ll have to do some basic cleaning around the house. 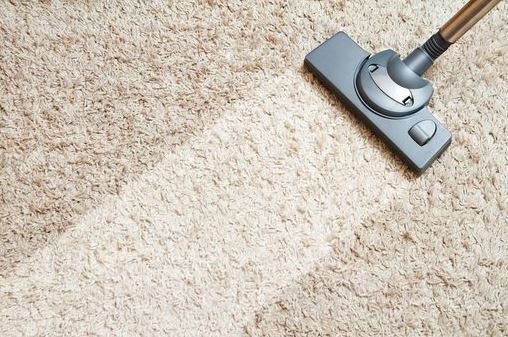 Day-to-day cleaning is dusting and maybe vacuuming, just to get rid of surface dirt. But there are areas you never quite clean because you keep postponing it for your deep clean. These may include drapes, skirting boards, beneath the furniture, switches, and faucets. It also includes any reference books that you’re unlikely to dust on the daily. That deep clean will make it far easier to keep your space workable in-between. Deep cleans are also handy for finding those items you’ve ‘lost’ within the house. It’s always easier to find things when you’re not looking for them, and deep cleaning is the perfect excuse to ‘not look’ for things. A lot of us feel a wave of exhaustion when we get into the office. We assume it’s because we don’t want to be there. Maybe we’re tired of the rat race, so we assume once we start working from home, that sense of fatigue will fade. So we’re surprised when it persists. It may not be your work at all. It may be the space itself. If your desk area is cluttered, poorly ventilated, or lacks natural light, then you sit on your chair and feel a wave of angst. Deep cleaning (including windows), lightens and brightens your space, both physically and psychologically. It makes your workday more pleasant and helps your levels of productivity. Plus, a deep clean will also cover any upholstery you may have – seats, cushions, heavy curtains and so on. Your fabrics hold more dirt and dust than other parts of your home, and because they sink into the textiles, you can’t see them. Cleaning gets rid of all that. To book your semi-regular deep clean, call Houseproud today on 1300 880 198. Next → Next post: Get Your New BBQ In Time For Australia Day!